I have done a lot of flying over the years, both by aeroplane and helicopter, for I had licences to fly both for a number of years. Most of it was during the time before I settled down and became a helicopter instructor, and it was done partly – though not exclusively – to gain the flying experience needed for that career. Some of it has been in foreign countries, and much of it has been very exciting by all usual standards. Many of these adventures have been published in the past – in flying magazines, the British Women Pilot’s Association newsletter, and various other publications. And it seemed like a good idea to put them all together in book form – and so the idea for My Foreign Flying Adventures began to take shape. The articles making up this book are very varied. They start with a trip to the Scottish Highlands with my friend Tricia, who features in several of the other stories too. Then comes a trip round Ireland, followed by a flight in Wales and the Borders to take part in (and win) an international flying competition, the ‘Dawn to Dusk’. Again, I flew with Tricia for both of these adventures. 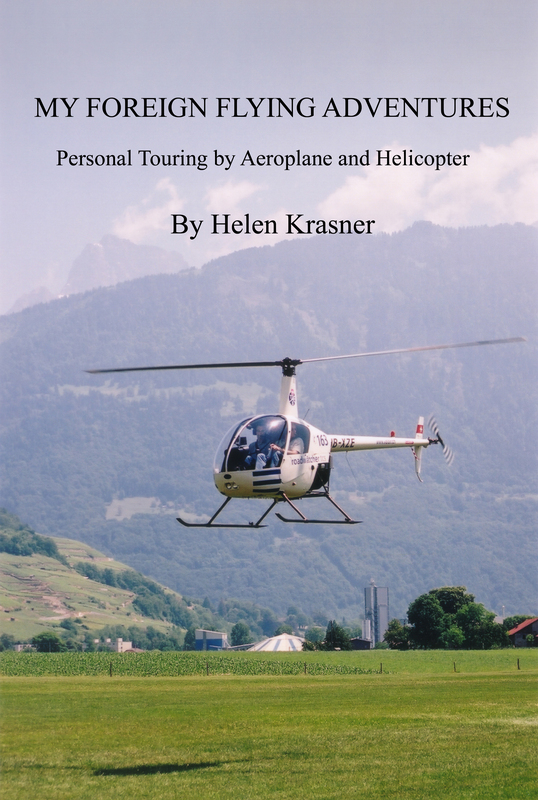 The fourth article is about a group flight to Paris by helicopter, arranged by my flying school fairly soon after I started rotary flying. The fifth is again about a trip to France, but this time alone and in a fixed-wing aircraft, so something of a challenge for me – although Tricia did join me for the last few days. The last two stories are somewhat different, and involve flying in California and Russia to gain experience and build hours before becoming a helicopter instructor. The articles are of different lengths and varying formats (some are in diary form) but hopefully that only adds to their richness and variety. The article about flying in Russia was nominated for an Aerospace Journalist of the Year Award in 2004. All of these stories should be of especial interest to any private or commercial pilot of course. But they are also fascinating for anyone who enjoys travel and seeing faraway locations, by whatever means. Travelling by small private aircraft is a unique experience, and enables you to see new places in a totally different way from using any other means of travel. Therefore I expect this book to attract a very wide audience, and maybe it will persuade readers to go out and fulfil their dreams, as I did with my flying. You can buy the book here.